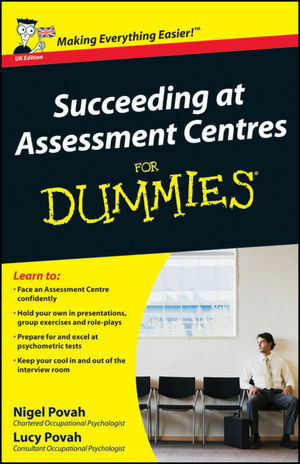 It's becoming more common for organisations to use assessment centres as part of their recruitment drive. So if you've recently been invited to one, and you're not sure what to expect or how to excel, then this is the book for you. You'll be guided through how each activity is conducted and how to prepare for each part of the selection process. You'll find expert advice on how to shine in every activity - and get the career you want. Nigel Povah is the Managing Director of A&DC, a practice specialising in assessment methods and developing people's potential at work. He is a leading expert in the Assessment Centre field. Lucy Povah is a Senior Consultant at AC&DC and has a Master's degree in Occupational Psychology.